The leaves are needle-like, flattened, 1.8–3.0 cm (0.71–1.18 in) long and 2.0 mm (0.079 in) wide by 0.5 mm (0.020 in) thick, glossy dark green above, and with two greenish-white bands of stomata below. The tip of the leaf is usually slightly notched at the tip. The cones are 9–17 cm (3.5–6.7 in) long and 3–4 cm (1.2–1.6 in) broad, with about 150-200 scales, each scale with an exserted bract and two winged seeds. 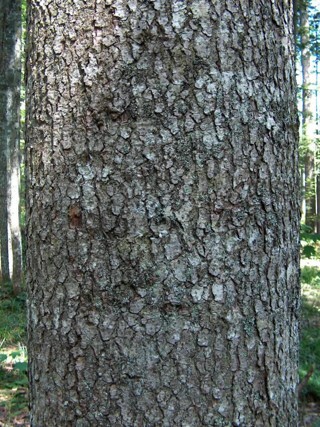 When cultivated on Christmas Tree plantations, the tree naturally forms a symmetrical triangle shape. The trees are full and dense with strong evergreen fragrance, and are known to be one of the longest lasting after being cut. In the forest the evergreen tends to form stands with other firs and beeches. 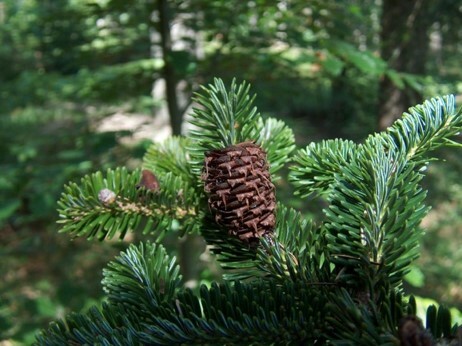 Silver fir is an important component species in the Dinaric calcareous block fir forest in the western Balkan Peninsula. 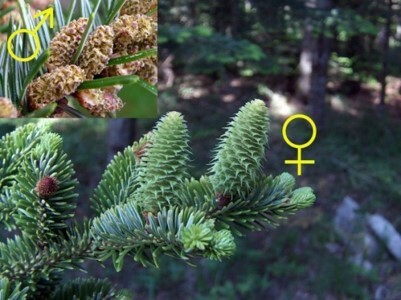 In Italy, the silver fir is an important component of the mixed broadleaved-coniferous forest of the Apennine Mountains, especially in northern Apennine. 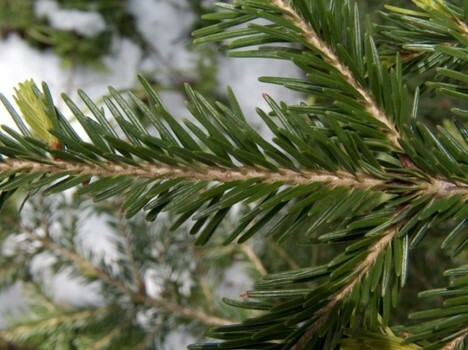 The fir prefer a cold and humid climate, in northern exposition, with a high rainfall (over 1500 mm per year). In the oriental Alps of Italy, silver firs grow in mixed forests with Norway spruce, beech, and other trees. 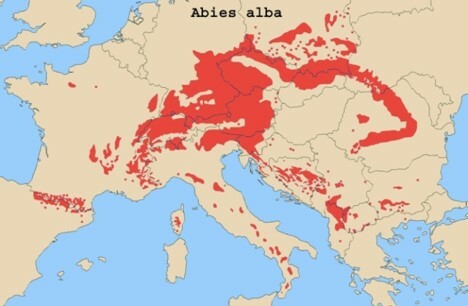 Alba means ‘bright’ or ‘dead white.